Farley: "We are spending a lot of time thinking and talking about how we need to change our operations." LONDON -- The UK needs to strike post-Brexit trade deals with countries such as Turkey and South Africa as well as the European Union, Ford said on Wednesday, underlining the scale of the challenge facing Prime Minister Theresa May to meet business demands. Ford, Britain's biggest automotive engine maker, operates two manufacturing sites in the country and like other companies has warned that any trade restrictions after it leaves the EU could add to costs and endanger UK production. The U.S. carmaker denies union claims it is planning to axe 1,100 jobs at its engine plant in Wales by the end of the decade after scaling back an investment there. Ford sends UK-built engines to Turkey, where it assembles its range of Transit vans and then exports many completed vehicles to Britain, benefiting from the barrier-free trade guaranteed by the EU's customs deal with Turkey. All of Ford's Ranger pickup trucks sold in Britain, meanwhile, are made in South Africa, reflecting the interconnected supply and sales chain made easy by EU trade deals with other countries, which Britain will now need to renegotiate as it leaves the bloc. 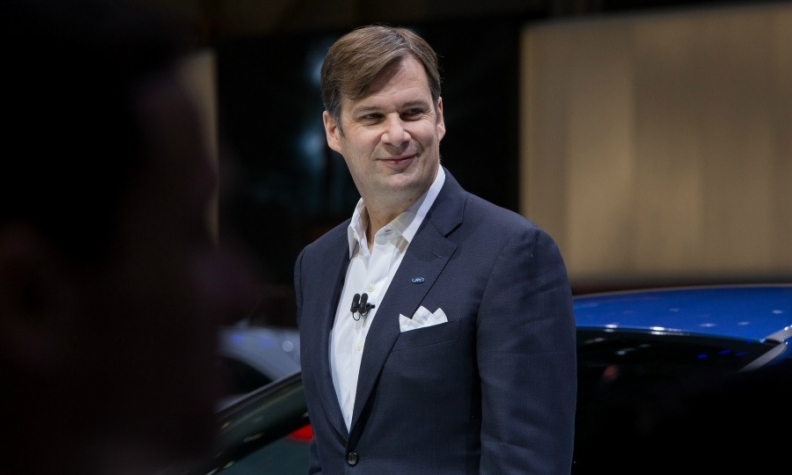 "For Ford, it's not only important for the UK's agreement with the 27 (remaining EU) countries but equally important are countries like Turkey and South Africa which hasn't really been talked about," Ford of Europe CEO Jim Farley told a London conference. The company's UK-built engines face tariffs of up to 2.7 percent, while vehicle imports could be hit by tariffs of up to 10 percent if Britain has to fall back on World Trade Organization trading rules. Farley suggested it would be hard for politicians to complete a full Brexit deal between now and March 2019, the end of a two-year period set out in EU legislation, and there needed to be time to adjust to the new terms. "There should be a transition period. That transition period is really critical for the future of our investments in the UK," he said. May, who polls show is likely to win a landslide victory in a national election on June 8, has singled out the resurgent car industry as a key sector she wishes to back, striking a deal with Japan's Nissan Motor Co. last year to expand output at its northeast England plant. The government promised Nissan extra support to counter any Brexit-induced loss of competitiveness, according to a source, and the firm discussed with Britain's business minister how to boost the uptake of electric cars, according to documents seen by Reuters, with initiatives later announced. Ford suggested it could also seek government support to maintain the benefits of tariff-free trade. "We are spending a lot of time thinking and talking about how we need to change our operations and what support we need from the government and other entities not only in the UK to make sure (trade) friction doesn't get created," Farley said.